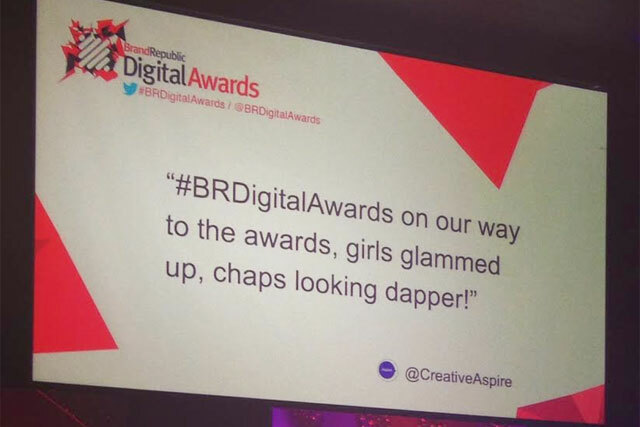 Lowe Profero picked up the Grand Prix at the BR Digital Awards for their 'Primania' work for Primark, at last night's event held at Troxy, East London. The sell-out event was hosted by 'Green Wing's' Stephen Mangan and included entertainment by drummer and percussionist Fish, as well as a Vine Booth that recorded some of the night's most memorable moments. The winners at the event included We Are Social, which picked up the trophy for Agency of the Year, and Channel 4, who were handed the award for Sales Team of the Year. DigitasLBi celebrated their win for Expertise: Talent Management, while the Rising Star gong was awarded to Waterstones' Jonathan O'Brien.